Safe4 – The leading veterinary supplies company, chosen by Veterinary Surgeons, Top Breeders, Animal Charities and Sanctuaries, Zoos, Kennels and Catteries across the world. 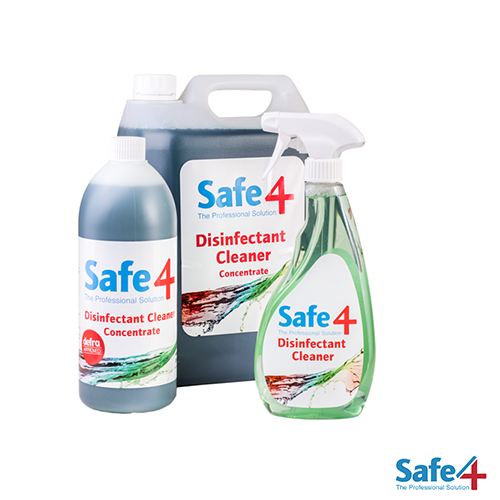 Safe4 Disinfectant Cleaner has been developed over the last 20 years as a safe alternative to hard surface disinfectants. Primarily developed within the harsh environment of animal welfare where highly effective disinfection is paramount to reduce the cross infection of harmful virus and bacteria under very difficult conditions. 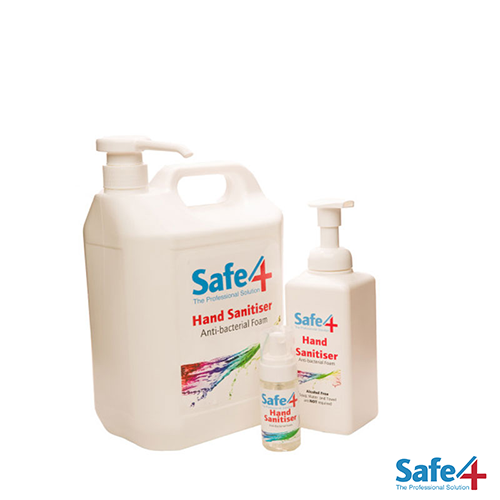 Safe4 Disinfectant and Cleaner has been in service within dentistry for the last 15 years. 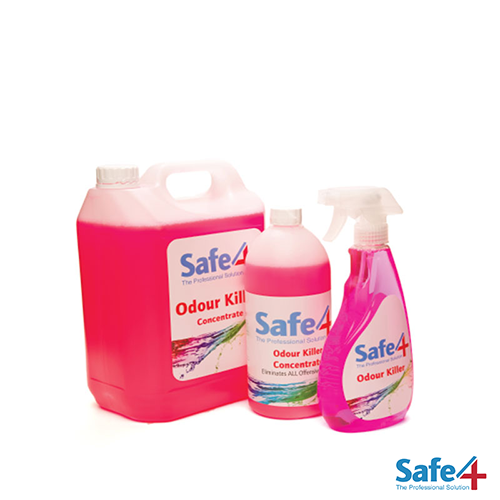 Safe4 Disinfectant Cleaner is free from aldehydes, phenols and alcohol. It is non-toxic and a non-irritant at all recommended dilutions making it safe for the user and for the patient whilst it performs its highly effective job. It is non-corrosive, non-tainting and non-staining at all recommended dilutions therefore it can come into contact with most materials. Safe4 saves valuable time and eases the logistics of disinfection as the patient and user can be exposed to the disinfectant whilst wet. It has a neutral pH of approximately 7.6 at the recommended dilutions. It saves water as it does not require rinsing and it is water based and biodegradable. Safe4 Disinfectant Cleaner concentrate is the only product in the veterinary sector with DEFRA approval against three notified orders in all four fragrances. (Tuberculosis Orders, Diseases of Poultry Order and the Avian Influenza and Influenza of Avian Origin in Mammals Order & General Orders). Our range has been extensively tested by independent laboratories and meets all regulatory and accreditation standards. Safe4 concentrate disinfectant is DEFRA approved.